For those of you who are running ParanoidAndroid ROM or a ROM that uses ParanoidAndroid Settings (such as JellyBAM or PACMan ROM) on your Android smartphone or tablet, you will want to learn how to use the ParanoidAndroid Settings/Hybrid Properties to get 100% out of your phone. First, ParanoidAndroid Settings will give you the ability to change your overall UI (User Interface) to run your Android device in Phone, Phablet, or Tablet mode. The beauty of ParanoidAndroid Settings is that the changes are applied immediately without reboot. With the Tablet UI enabled, you will see that the notification bar has moved to the bottom right from top. This can be useful for many larger-screen phones like the Galaxy Note 2 or smaller-screen tablets like Nexus 7 as it gives you the option to run your Android device in your favorite mode whether that’s Phone or Tablet mode. 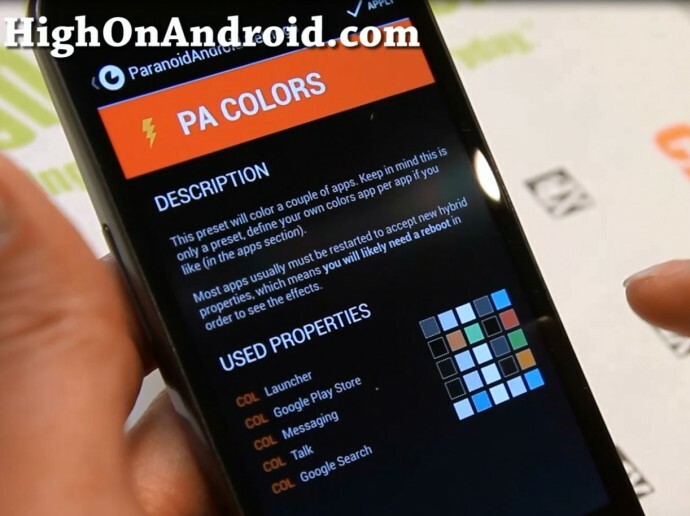 You can also enable ParanoidAndroid Colors aka PA Colors, which will allow you to customize colors of your navigation and status bars depending on which app is being used currently. The coolest feature about ParanoidAndroid Settings is probably the ability to run any apps in Phone or Tablet mode and also extra tweaking you can do. Below is my GMail without any modifications. You can change the DPI and screen resolution of GMail by going to ParanoidAndroid Settings->Apps. To get tablet mode, simply switch the Layout from 360p to 600p. And also you can change the size of your fonts by lowering the DPI from 320. After making changes, make sure to hit “Apply” and then hit “Launch” to re-launch GMail. Instantly, you are rewarded with GMail tablet mode with dual-pane windows. 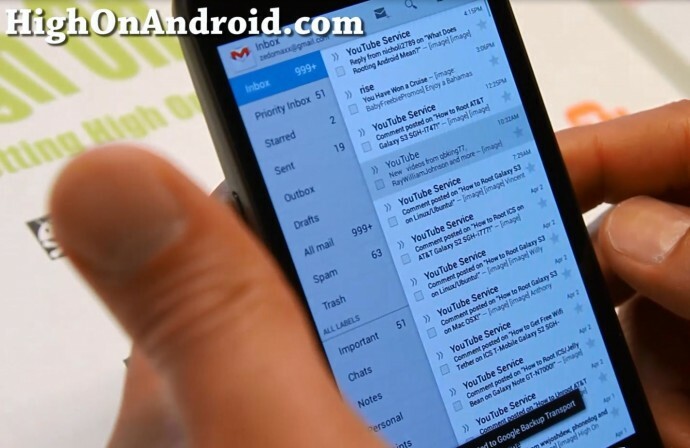 For larger-screen phones like the Note 2 where GMail defaults to Phone mode only, this can become very handy in running the app just the way you want it. Another app I find necessary to run in Tablet mode is the Netflix app. Shown below is the regular Phone mode and hard to browse titles as I have to continuously scroll. By setting DPI to 160 and switching layout to 720p, I can get much larger screen real estate on the Netflix app. The result is that now I can see more titles without scrolling? Now, if you want to enable some of the hidden features of ParanoidAndroid Settings, turn on the “Expert mode”. Once Expert mode is turned on, you will have the option to “force” apps slightly bigger. This is done on some apps like Netflix when adjusting DPI will not work. Also, you can use “Expand” feature to make your navigation buttons disappear when using Netflix app. Now, my Netflix app looks just perfect, not too big and not too small. Also I have more screen on the bottom as there is no navigation bar. Without the navigation bar, you can use ParanoidAndroid’s built-in PIE controls instead by swiping from the bottom of the screen (or from other sides). ParanoidAndroid Setttings also provide slight customization to its PIE controls. If you want to further enhance your PIE Controls, I recommend trying out LMT PIE Launcher or PIE Control app from the Play Store. What if there’s no ParanoidAndroid ROM for your Android device? No worries, you can use Xposed App Settings on any rooted Android device to run your apps in Phone or Tablet mode. Hello Max I was wondering where to download that awesome ROM?Can you put a download link , please ? Depends on what phone you have? Is there any way to make the settings app look like stock? Or have the notification bar while using PIE? recently rooted my phone. is there a version of paranoid android for the Samsung Galaxy Note 2 L900? hello can you teach me how to change the colors of the navigation bar / controls of my android? I’m interested in PA for my phone but not sure if my phone is compatible. It’s an HTC Evo 4G LTE. Thanks! Hi, would like to know up now recognizes the pen? Thanks. Next story Galaxy S4 S Translator Demo and How to Install On Rooted Galaxy S3/Galaxy Note 2! 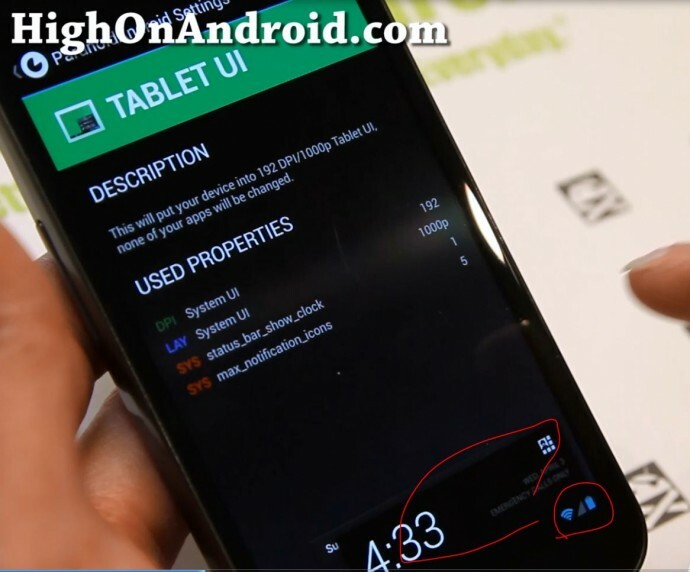 Previous story How to Use AOKP ROM Control Settings!